My last brewventure of 2018 took me down to South Broadway with two of my beer-loving favorites! 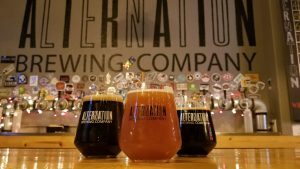 Having spent little time in this eclectic and hip neighborhood, I was excited to dive right in and check out as many breweries and as much of the beer we could. For the Animals—a milk stout that they feature different variants of, including Oreo, S’mores, and gingerbread, to name a few. Marrakesh Express—a saison with chai! Yum! Stop #2: Dos Luces Brewing (www.dosluces.com). 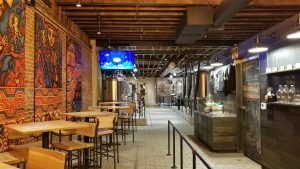 Dos Luces Brewing is a newer addition to the neighborhood and really brings a welcome new flavor—and dare I say culture—to the thriving Denver beer scene. We were drawn to its warm and welcoming lights like three beer-loving moths to flame. At Dos Luces Brewing, they serve up traditional Chicha and Pulque brews native to Mexico that are fermented with corn instead of barley. Given that they specialize in two styles of beer, I highly recommend sipping on the base brew of each and then delving into some of the variants they offer. I found the Lime Ancho Chile Pulque to be one of my favorite sips of the night! For those that find this too far from their traditional beer-loving comfort zone, they do have a few guest taps, and also serve up the likes of Comrade Brewing Company and more! Stop #3: Black Project Spontaneous & Wild Ales (www.blackprojectbeer.com). Previously known as Former Future Brewing Company, Black Project was our final stop for the evening and I’m beyond excited to make my way back! Not only is the brewery super sleek inside, with lots of painted brick and plane wings making up the bar top, but the bartenders are ultra-friendly, and they specialize in wild and spontaneous ales—my personal favorites. We sampled small pours of much of their tap list before deciding upon our pours to top off our evening. I was absolutely blown away by everything we tried. I finally opted for a pour of Fencer—a sour golden brew that is aged with blackberry and rosemary! Holy yum! My fellow brewery goers greatly enjoyed their pours of Shadow Factory: Blueberry and Phazotron: Plum. 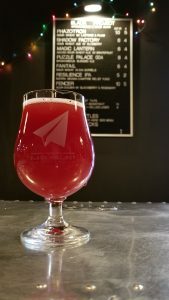 With the space being rather discretely marked, you will have to keep an eye out if you’re looking for Black Project Spontaneous & Wild Ales, but trust me—it’s worth the hunt! South Broadway is definitely home to tons of tasty eats and some equally amazing breweries! So next time you’re looking for a neighborhood that has it all, look no further than South Broadway!